CLOSEOUT - Limited quantities available. The FR and Arc-Rated Cold Warrior™ Convertible Balaclava stands between you and punishing temperatures. The top has high/low interior grid construction that maximizes warmth yet promotes breathability, while the bottom has a wind-resistant outer surface with lofted fleece interior to retain body heat. Durable water-repellency sheds light rain and snow. When deep cold is your adversary, our Cold Warrior™ Convertible Balaclava will help you win the battle against the elements. 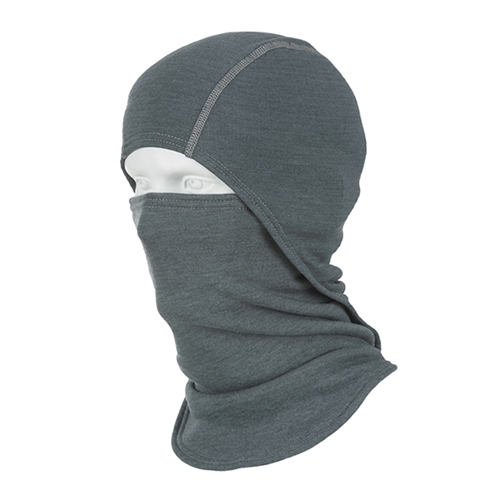 DragonWear Cold Warrior™ FR Balaclava Gray SOLD OUT has a rating of 5 stars based on 10 reviews.